Your house cleaning is important, but it’s totally understandable that you may not be able to find the time to do all you need to. What many local homeowners don’t know are the risks that this can lead to. If left without the help of professional East London cleaners, you could have to deal with some extremely expensive and potentially harmful consequences. Thankfully, we’re here to give you all the cleaning assistance you’ll ever need at Handy Cleaners, and we’re truly dedicated to your satisfaction. We’ll have your home feeling better than it ever has, and all with cleaning services that really do the trick. We’re easy to reach through 020 3743 0505, where we’re ready to take your booking today! What type of cleaning services in East London do you need? When it comes to home cleaning, there’s nothing we can’t do to get you ahead. Our carpet and rug cleaning is often lauded as the best in the area, and you can be sure we’ll treat all of your possessions with the utmost security. You can’t get that peace of mind anywhere, whether it’s in our general house cleaning or in our upholstery cleaning. What you get is total confidence that our house cleaners will get the job done right first time, every time! Why mess around with more a more expensive cleaning company in East London who will probably just leave you out to dry? Come to us for a confidence in cleaning you won’t find anywhere else! Professional Cleaning Teams Like You Wouldn’t Believe! You don’t want just anybody working on your home cleaning. You want someone with both qualifications and experience, who has all the knowledge needed to conduct amazing workmanship reliably. That describes our cleaners in East London down to a tee, who have always worked hard to uphold the highest standards all over the local surroundings. We’ve forged our cleaning company on strong employees who have the same passion for customer satisfaction throughout, and it’s that which keeps clients returning to us. Let us show you that care first hand. It won’t be long before you see what all the fuss is about, so call 020 3743 0505 to get your household revolution started today! The surrounding areas of East London are full of vibrant and interesting things to do, having been an important part of England’s capital city for years. Home to such boroughs as Bexley, Greenwich, Redbridge, Newham and more, there’s always something to see or experience. There are many galleries and museums, with many to be seen in Hackney in particular. 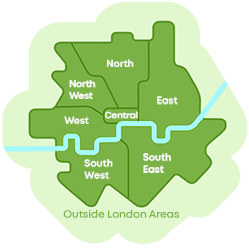 These feature such local attractions as the Geffrye Museum, the Transition Gallery and Victoria Miro Gallery. With fantastic educational links all throughout, Newham is a good place to focus with its huge array of secondary and primary schools. However, it is probably best known for its campuses of the University of East London, which has really made its mark! There’s no denying that cleaning services are often necessary to help out busy local homes, but we’re certain you won’t find more helpful teams than ours. That’s because we take our work, and our customers, seriously at Handy Cleaners. We don’t leave our patrons behind, or steam ahead with heavy-handed solutions. Instead, our cleaners collaborate with you for the finest results – and that’s the dedication that defines us. We’re green too, as we only provide eco-friendly cleaning that does its best to define a strong care for the environment. For all of this and more, all you need do is dial in 020 3743 0505. You’ll soon be enjoying the fruits of a far cleaner home! 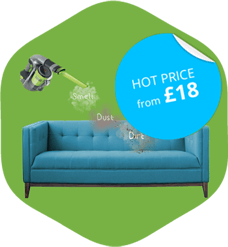 Use our home cleaning service in East London and save money!